One2One showcases businesses, artists, craftspeople, and home and cottage industries owned by Genesee Co-op FCU members. 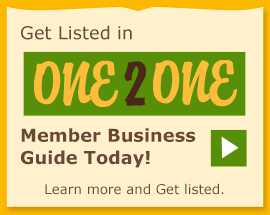 One2One connects you to these local business owners so you can support them and SHOP LOCAL, BUY LOCAL. Check out the goods and services available from other Credit Union members! Type a word or phrase into the search field to find a list of all businesses with that word or phrase in their listing. Or you can see a list of businesses using the category links below. If you are a member business owner and you would like to have your business listed in this directory, please click on the "Get Listed" link located on the right side of this page.